I encourage you to ask your spouse the questions listed below and come up with some goals of your own for the New Year. 1. What did you most enjoy about our dating days? 2. What do you wish we could do as a couple that we rarely or no longer take the time to do? 3. What have you always wanted to do, as a couple, that we haven't yet done? 4. Where would be the ideal getaway for you and I to go someday? 5. What, specifically, would you like to see us accomplish together in the New Year? 1. Pray and read the Bible together. This takes intentional commitment. We need to make this a priority in our marriages. Find a study/devotional you and your spouse can work through together this year. Also make it a daily ritual to pray for one another as well as with one another. 2. Say "I Love You" every day. Those three little words mean more each time we say them. Don't just say them to say we did, mean them. 3. Start your day with a kiss. Simple; but effective. Studies show couples that kiss each other daily (even a quick peck on the cheek) are happier, overall, than couples that don't. 4. Plan date nights. Dating was important before you were married and believe me, it's even more important after you're married. It doesn't have to be a fancy evening however it should be a time you are with your spouse exclusively. 5. Do unexpected acts of love. This is an easy one and truly makes an impression on the one you love. A hand written poem, a card, a love letter, or a small gift are ways you can do this. Maybe send a sweet text during their day or their favorite treat prepared just for them can do wonders in making someone feel loved. 6. Be interested in your spouse's day. Make it a point at the end of the day to ask the one you love how their day went. Most importantly, be a good listener. Really pay attention. You will be amazed at how much your spouse needs this specially if it has been a difficult day. If you haven't already purchased, and read together, The Marriage Journey available in our bookstore please consider this resource to build a stronger, healthier marriage. 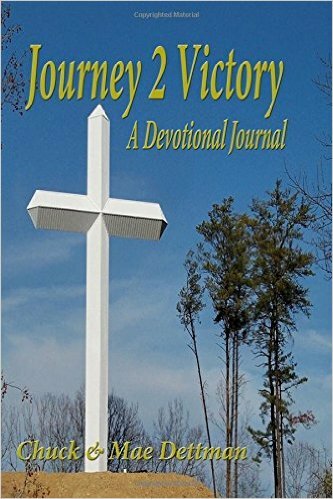 Also, our newest addition to the bookstore, Journey 2 Victory serves as a tool to assist in healing not only marriages and relationships, but also individuals. Many times when our thoughts are committed to paper God gives us comfort and 'releases' our hurt and pain. Heavenly Father, You are Holy. You call us to be holy. You created us in Your image. Yet, so often our hearts wander. Our speech does not glorify You. Our actions do not honor You. Self prevails. In this New Year, clothe us with humility. Take away our desire to be right and our stubbornness to demand our own way. Submit our will to Yours. As we open the pages of Scripture, tender our hearts so that it will penetrate even to the marrow of our bones. Amen.